Our fifth trip with you ended like all the others, many fish, much fun and a deeper appreciation for the ' Fish Whisperers ' skill set. It always amazes me that as long as I follow your instruction exactly I get a fish. As a barely intermediate fly fisherman I need all the help I can get and your teaching technique complete with heavy doses of patience and understanding is just perfect. Thank you Peter for being an excellent fishing guide, terrific friend and a true ol' school gentleman. Now if you'd just teach me that uncanny sixth sence of yours to know just where the fish are, I'd really consider you a friend! 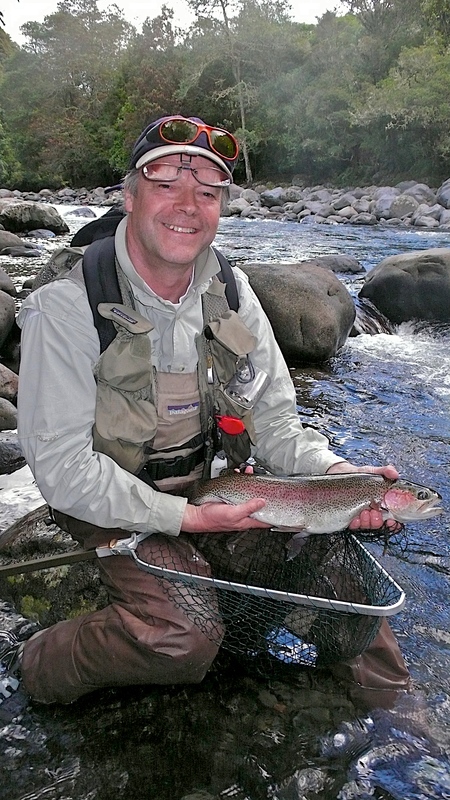 Your Canadian Fishing Bud, Dr Stephen Tsotsos. 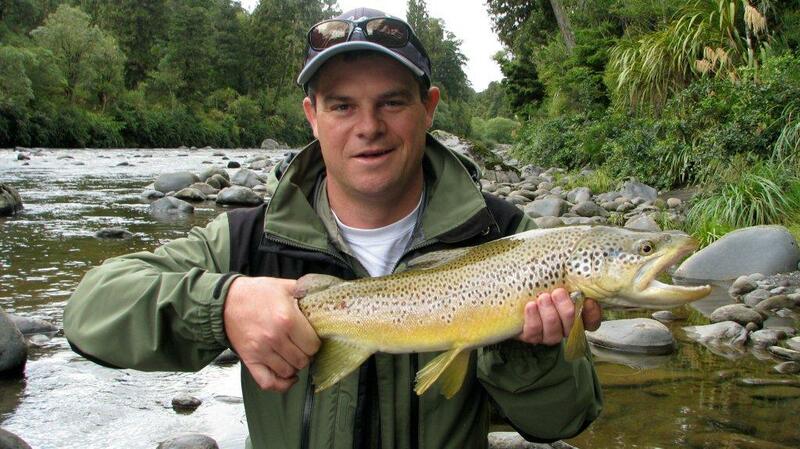 I've had the pleasure of fly fishing with Peter on 3 trips to NZ. These days spent with him have improved my own fly fishing skills tremendously & we have had some truely memorable days on NZ's fishing rivers. 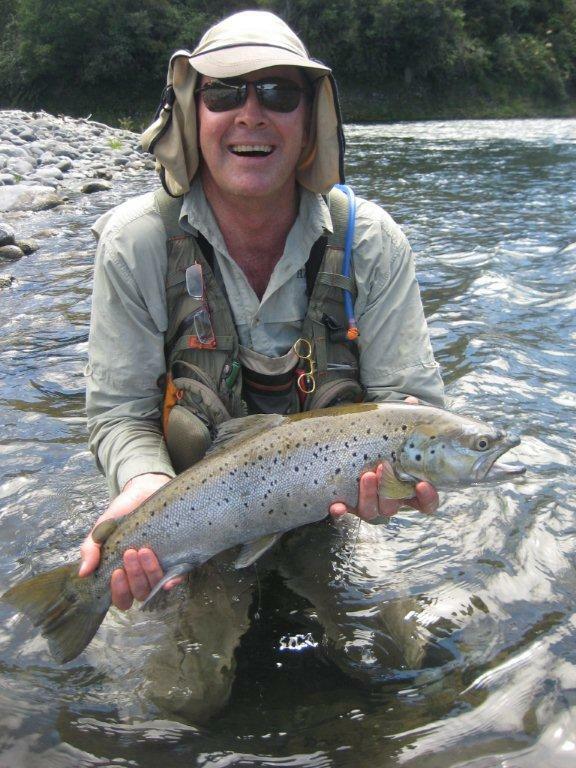 As a client I gained greatly from Peters local fishing guide knowledge & his vast fly fishing experience. 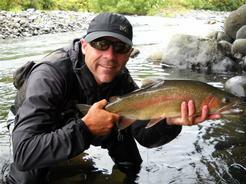 All this combined with a big dose of genuine Kiwi hospitality makes for an unforgettable days fishing. It's always been a highlight of my holidays to fly fish with him & I look forward to catching up again on my next New Zealand fishing visit. 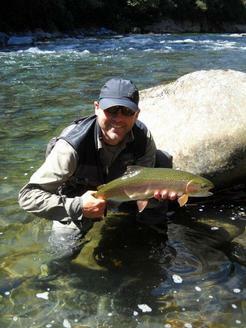 Thanks for a great day of back-country guided fly fishing , you really know where the fish are Peter!! 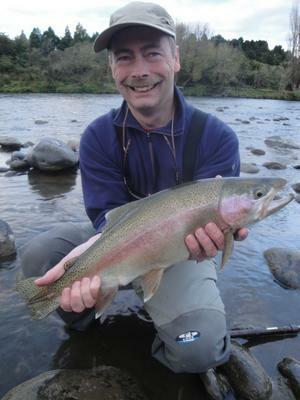 Im used to fighting these fish in Europe, but fighting NZ rainbow trout in a back-country river is a whole new league of sport fishing! !